In a time when Islam is understood less and less, I humbly offer my first book on the practical interfaith spirituality of the Quran for Muslims, Christians, Jews, and all people of faith. 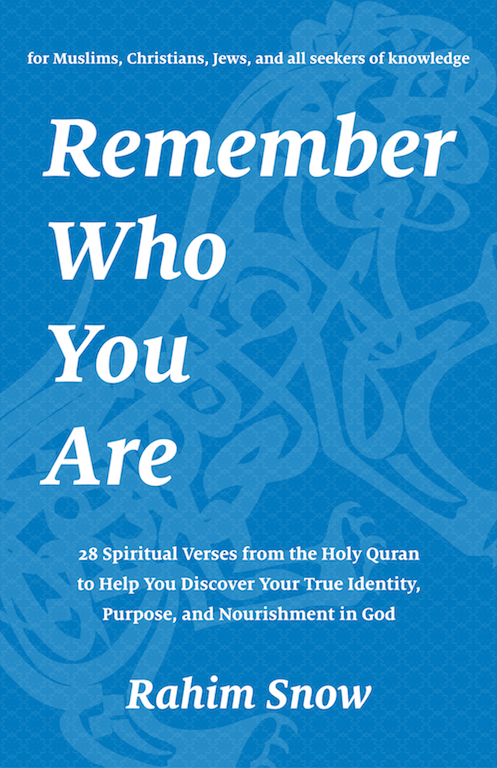 Remember Who You Are: 28 verses from the Holy Quran to help you discover your true identity, purpose, and nourishment. Each verse is translated into simple English along with a commentary on how to practice that verse in your daily life.